What Kind of Exercise Is Done at Curves? Curves combines cardiovascular and strength training for a circuit workout. You may drive past a Curves workout center and wonder what goes on in these women-only fitness clubs. Curves franchises combine nutritional advice and an exercise program to help members reach their health and wellness goals. The clubs have strength-training equipment for your muscles and suggest cardiovascular exercises for your heart health. Put the two together and you have a workout based on a circuit-training principle. The machines in Curves look different from weight-training machines you see in health clubs. The resistance on a Curves machine is provided by hydraulic pressure. The faster you move the handles on each machine, the higher the amount of resistance as the liquid moves against pressure in a tube. Eight machines strengthen the muscles in your arms, chest, back, core, shoulders and legs. You will not find any cardiovascular equipment at Curves. Instead, your aerobic exercise is done on small platforms. You perform jumping jacks, jogging, knee raises, or dancing to increase your heart and breathing rates into your cardio-training zone. Your muscles recover from the strength training during your cardiovascular intervals. 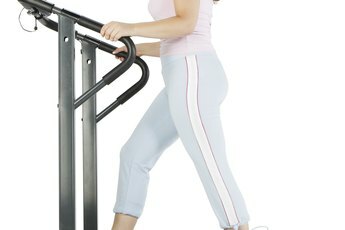 The setup of a Curves workout alternates a strength-training machine with a cardiovascular platform. You perform an exercise for 30 seconds and then rotate to the next exercise for 30 seconds. This style of exercise is known as aerobic circuit training. You move as quickly as possible from exercise to exercise to improve your aerobic capacity and your strength. At Curves, you rotate through the circuit two or three times for a total 30-minute workout. 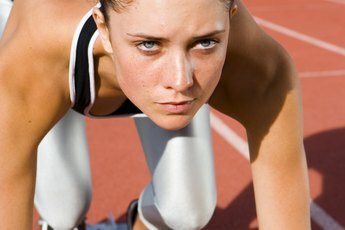 Toward the end of your circuit workout, you begin to slow your pace as you start to cool down. Once your heart and breathing rates settle, you perform stretching exercises for three minutes to round out your workout. Flexibility exercises help improve your range of motion and, when performed at the end of a workout, your warm muscles move easier into the stretch.